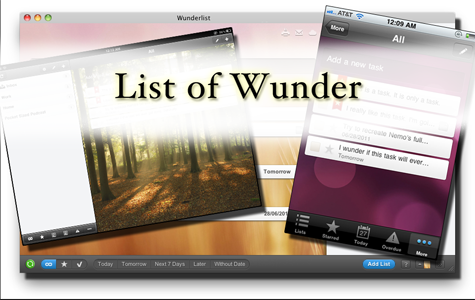 Scott has a Wunderful idea for task lists that sync across the iPhone, iPad, and the Mac. Suzé Gilbert finds the right depth of field with iQuikD.o.F for iPhone. Sam Negri does not drop the new Gumdrop case for iPad 2, but thinks it would handle it just fine if he did. And John Nemo asks you to listen to something else for a bit, and picks The Tin Roof Blowdown as the book you should chose to listen to.